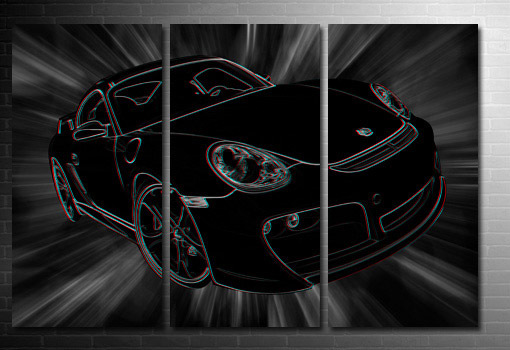 Want this Porsche canvas wall art in a different size?. Check sizes and prices. 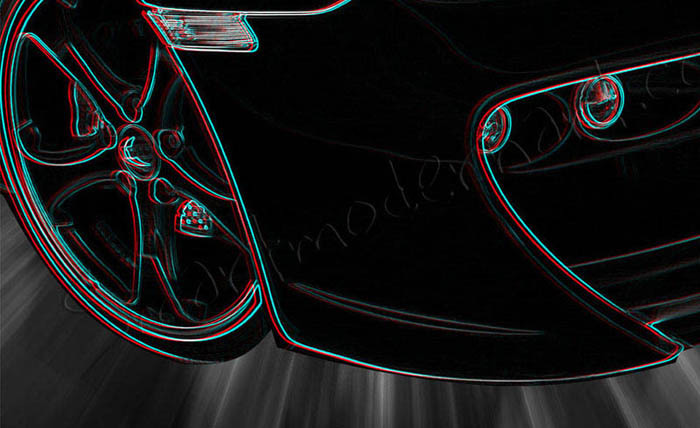 These canvas prints have been produced with an anaglyph stereoscopic effect. This refers to a technique used for creating and enhancing the illusion of depth in an image. This is done by presenting two offset red/cyan images separately to both the left and right eye of the viewer. 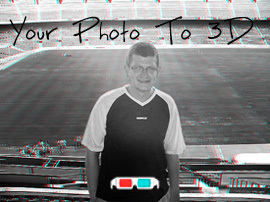 When the viewer wears the 3D glasses (2 pairs included with each order), both of these offset images are combined in the brain to give the perception and illusion of 3D depth. We start with quality kiln dried, solid wood stretcher bar frames. Visit this page for more information on how we print, finish and frame your individual canvas art. Your chosen image is printed at high resolution onto 100% cotton canvas. The canvas is then gallery wrapped to the frame and we also use corner wedges to ensure the canvas is tight. All Smartmodernart canvas prints are individually handmade to order. Check out this full colour version. Click for details. 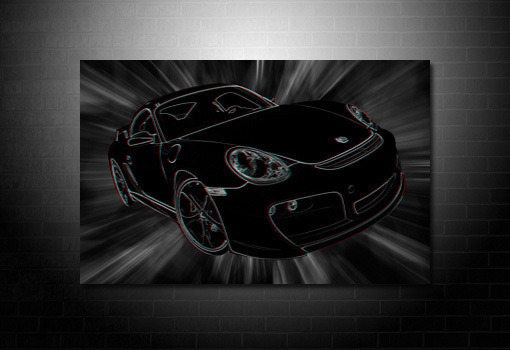 Easy to use hanging kit and two pairs of Red/Green 3d glasses included with every canvas ordered.